House Bill 3371 would establish a regulatory system, similar to the one in place in the state for alcohol, for the cultivation, production, and sale of cannabis to adults over 21. Adults would be allowed to possess up to 24 ounces of usable marijuana and grow up to six plants in their homes, in addition to purchasing it from regulated retail outlets. You can read the full text of the legislation here. If you needed any further proof that elections have consequences, we now have a total of seven legalization bills pending in state legislatures, whereas we rarely had even one in previous years. The voters in Colorado and Washington set the ball of legalization rolling down hill and it seems unlikely to slow down anytime soon. If you live in Oregon, please click here to quickly and easily contact your elected officials in support of this legislation. 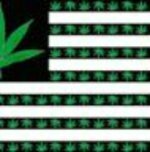 If you don't live in Oregon, click here and see if there is any pending marijuana law reform legislation in your state.